CINCINNATI -- They were finally feeling settled and happy last August when Madison, Missy and Macy got the awful news. Their older brother told them Mom was in the hospital, and it didn’t look good. It was the week when 174 people in Cincinnati and Hamilton County overdosed on heroin mixed with the powerful sedative carfentanil. Mom was one of the people who took it and was barely alive, hooked to a bunch of wires and tubes. 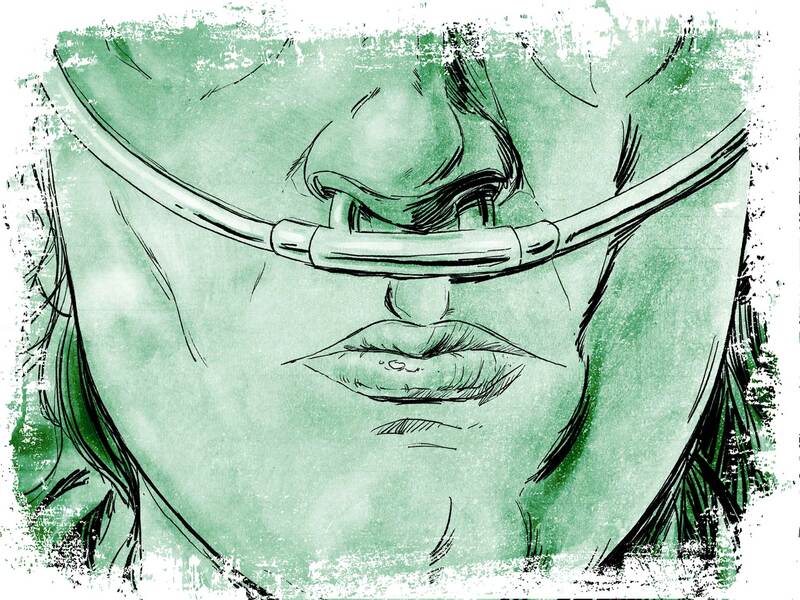 She couldn’t talk or recognize anyone. Their brother didn’t think that should be the last memory the girls had of her. So they didn’t go see her in the hospital. “The next morning they decided to pull the plug because she was doing so bad,” Madison said. It had been nearly two years since someone called 241-KIDS, initiating a process that removed the three sisters and their three younger siblings from Mom’s custody. Madison, Missy and Macy had gone to live with Grandma and Grandpa, and their adoption had just been finalized weeks earlier. All of a sudden, Mom was dead. 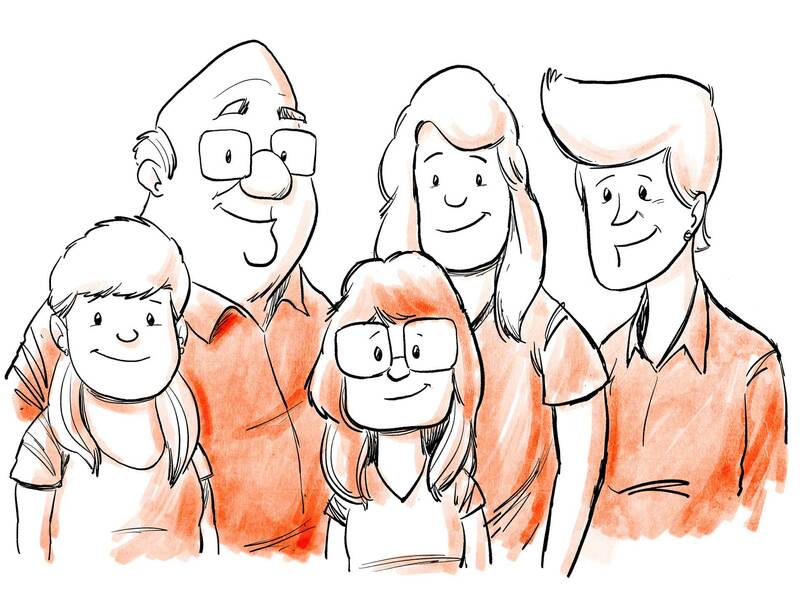 WCPO first introduced Madison and her younger siblings in the online graphic novel Childhood Saved . The goal was to tell the story of children in the child welfare system in a way that would not cause them more harm. The names of the children were changed to protect their privacy. The facts were reported as they occurred out of respect for what they survived. Mom’s addiction to heroin had made her kids’ lives scary and unpredictable.In most ways it was good to be away from her, and the girls’ lives were much better. But that didn’t mean they wanted her to die. 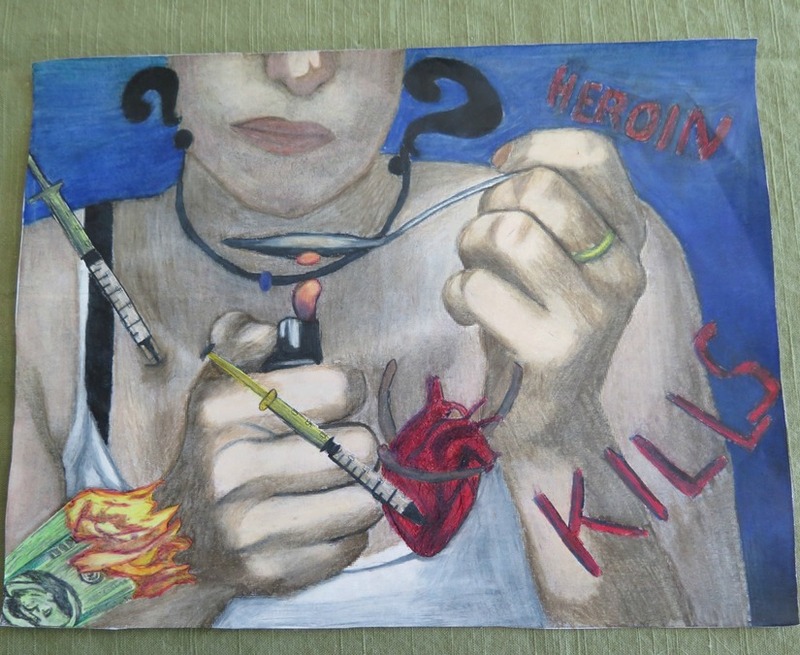 Missy created this artwork about the dangers of heroin. Macy, 13 and the youngest of the sisters Grandma and Grandpa adopted, was mostly sad about what she wouldn’t get to do for Mom. Donald Swain, the court-appointed special advocate for ProKids who helped the girls and their younger siblings after they had to leave Mom’s home, had called their case “a storybook ending” because all the children ended up with family members who loved them and would take good care of them. But what has happened since then shows just how unhappy parts of the story can be for kids like Madison, Missy and Macy -- and how important a loving home has been to help them through it all. The girls had not seen much of their mother after going to live with Grandma and Grandpa. Mom was in jail when the 241-KIDS call happened. She was released just a few weeks before she died. The girls saw her once briefly at the grocery store. She said she was doing OK, but they had their doubts. They were starting to see their dad more, though. He struggled with alcoholism and had never been a steady presence in their lives. But Grandma was Dad’s mom, and he started to come around more after Madison, Missy and Macy moved in with her and Grandpa. “He would come and play board games and card games,” Macy said. But then they got a call in April about Dad. He was found dead and alone. The girls aren’t sure if he was at his apartment or at a friend’s house when he died. There were supposed to be toxicology screenings, Madison said, but she doesn’t know what the results were or if they ever happened. Dad was Grandma’s only son, and his death hit her hard. Grandma had him cremated. “We have a bobber with his ashes that says ‘gone fishing,’” Macy said, because he loved to fish so much. Both parents were gone within a seven-month span. Madison said Dad’s death didn’t hit her as much as Mom’s had. It was hardest on Macy. Macy had a connection with Dad that her older sisters didn’t. Even with all that sadness, though, Madison, Missy and Macy are doing OK -- even better than OK. The girls are happy and thriving and looking forward to what their futures hold. Macy, especially, has gotten to see her younger sisters and brother more since the move. It’s close enough that she can ride her bike. And she has made lots of friends all around her new neighborhood. Different in a good way, she clarified with a grin. Macy will start eighth grade in the fall, and her school is so close to her house that she will be able to walk there. Macy used to be scared a lot when she lived with Mom, she said, but she’s not scared anymore because she knows Grandma and Grandpa love her and will take care of her. Missy has done a lot better in school since she started living with Grandma and Grandpa, too. She will be a high school sophomore in the fall and is a member of National Junior Honor Society and National Spanish Honor Society. She’s also a member of a club that works with special needs kids to help them feel comfortable at school. “I’ve gotten a hearing aid, and I’ve gotten all my hearing stuff done,” Missy said. She had so many untreated ear infections when she was living with Mom that she needed surgery. “When I was little, I remember crying so hard I couldn’t breathe,” she told hundreds of people gathered for a ProKids fundraising breakfast earlier this year. She, Macy and Madison all talked in front of the group about how their lives had changed. It used to be that Missy wanted to be a bartender because that’s the job she remembers her mom having. 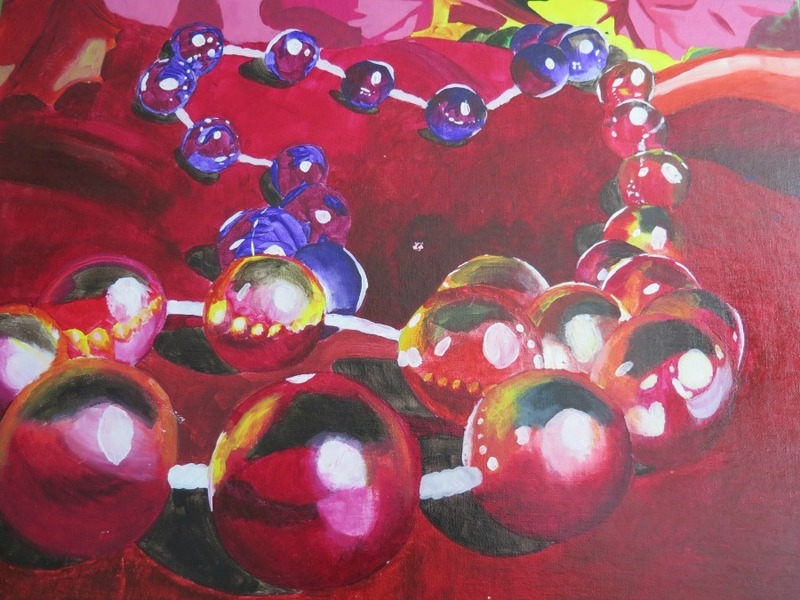 Madison painted this picture of beads for a high school art class. Of all the girls, Madison has the biggest changes ahead. She graduated from high school in May and is trying to decide what to do next. She wants to go to college because she figures that would help her get a better job in the long run. But she’s worried about the money. She has been working for a shoe store for more than a year. She makes $8.31 an hour but has heard Aldi pays $12.75 an hour -- and $13.75 on Sundays -- so she is thinking of applying there. Madison went to her senior prom with a bunch of friends and had a blast. And she saved up $500 to buy a car from her uncle. Grandma and Grandpa paid to make some repairs on it. 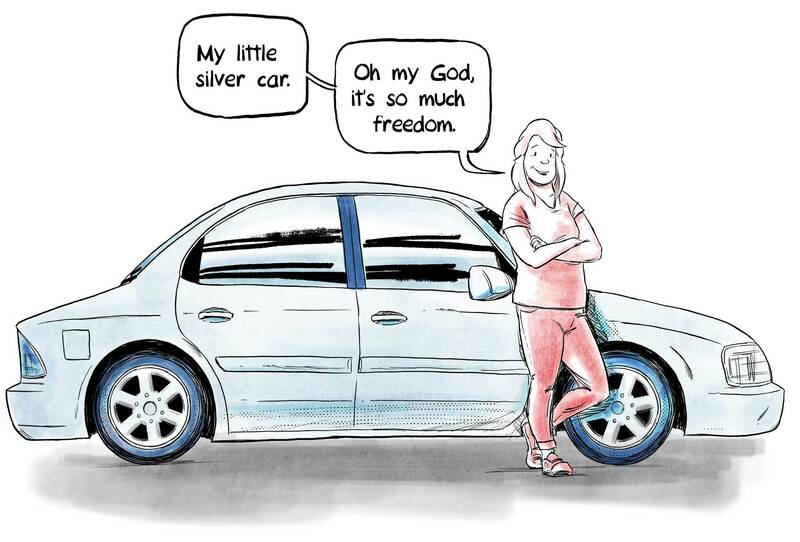 “My little silver car,” she calls it. She’s still working on a name for it. Madison pays for her own car insurance, gas and cell phone. Gas is expensive, she said, but it’s worth it. “Oh my God, it’s so much freedom,” she said. All the girls are free really. They’re free from the abuse and neglect that they survived when they were living with Mom in the throes of her heroin addiction. Free from worrying about when or if she would come home. From wondering whether there would be enough to eat or whether they would be evicted and have no place to live. As sad as it is that Mom and Dad are gone, Madison, Missy and Macy know how lucky they are to be where they are. And they know their younger sisters and brother are lucky, too. Even with all the sadness along the way, that’s about the best ending any kid could hope for. ProKids trains CASAs like Donald Swain to look out for the well-being of kids like Madison, Missy and Macy as Hamilton County Job & Family Services and Hamilton County Juvenile Court work to find safe, permanent and nurturing homes for them. ProKids doesn’t have enough volunteers to provide CASAs for everyone. The more volunteers the organization gets, the more kids it can help. Lucy May writes about the people, places and issues that define our region – to celebrate what makes the Tri-State great and also shine a spotlight on issues we need to address. Childhood poverty is an important focus for her and for WCPO. To read more stories by Lucy, click here . To reach her, email lucy.may@wcpo.com. Follow her on Twitter @LucyMayCincy. Kevin Necessary is WCPO's editorial cartoonist. Follow him on Twitter @knecessary.